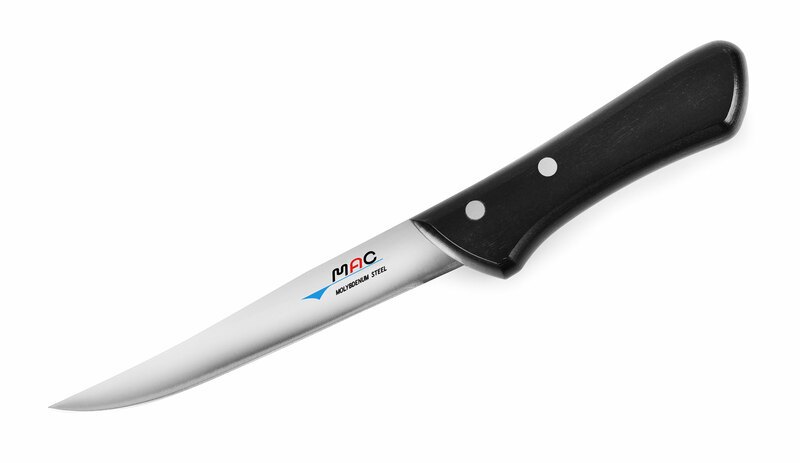 The MAC Chef Series Boning Knife features an over-sized handle to maximize grip when working in slippery butchering environments. 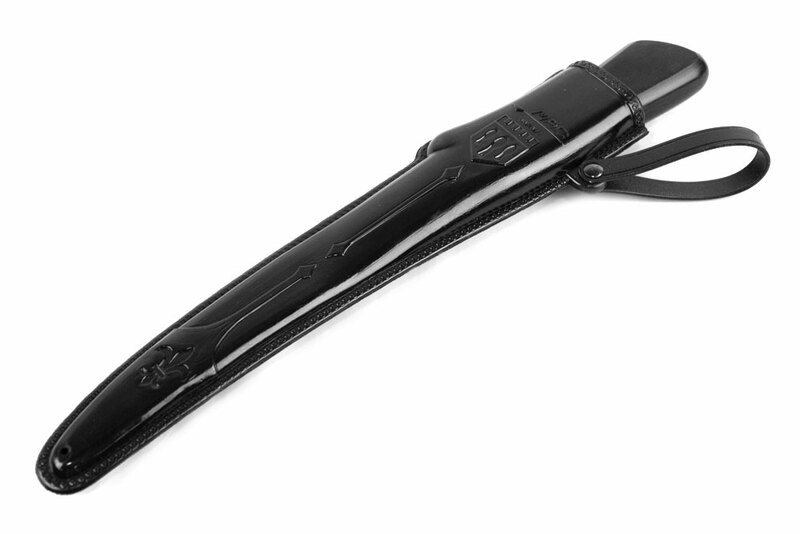 The handle shape is designed for both a standard grip or a reverse butcher's grip. The narrow, pointed shape works easily around bones and the stiffness keeps you in control of the blade's edge. Features a straight blade with a slightly curved edge. Includes a plastic butcher's sheath for holstering the knife on your belt. 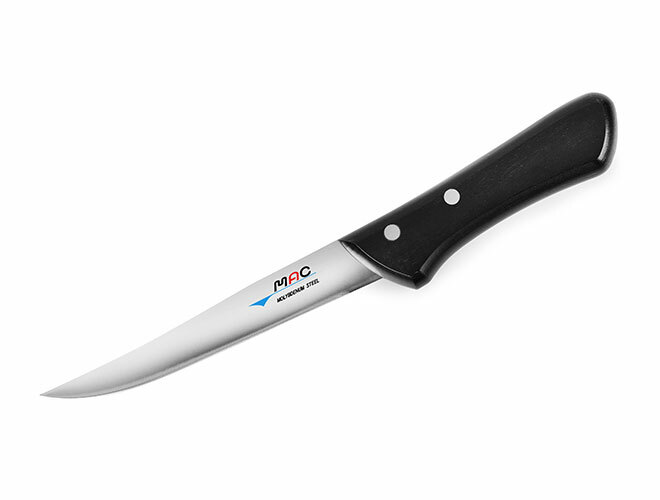 Also a great fillet knife for fishermen and hunters. The MAC Chef Series features original molybdenum steel construction. The knives are shaped with many traditional European shapes with a straight handle that's in line with the spine of the blade, with a pointed tip. Comfortable balance, light-weight, sharp edge, and thin blade all combine to create a precision tool that is easy to handle and control, reducing the risk of hurting yourself while working on the cutting board. Due to their light-weight nature, MAC Chef Series knives can make quick work out of almost any food. Made in Japan with a 25-year warranty.